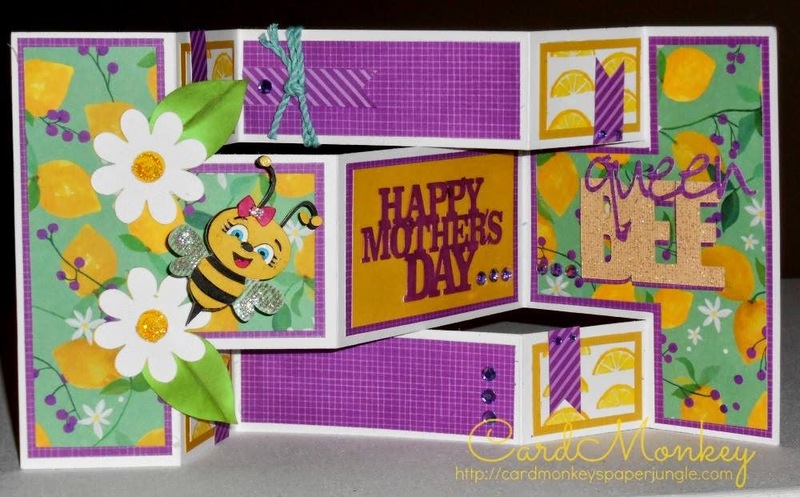 CardMonkey's Paper Jungle: Mother's Day Card with a "Taste of Summer"
Mother's Day Card with a "Taste of Summer"
Spring has finally sprung here in Southeastern Pennsylvania after what seemed to be the endless winter. Trees are in bud and blossom, and yes, the daffodils and crocuses have popped. The azaleas will be in full bloom right in time for Mother's Day. And then we know spring is over and summer is right around the corner. The style of this card is called a "Tri-Fold Shutter Card". Its intricate cut/fold makes it a bit more interesting and fun to display. 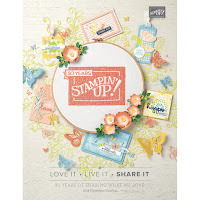 I used Close To My Heart's new line of "Taste of Summer" paper that will be available May 1-31, in honor of National Scrapbooking Month. I used my Silhouette Cameo (with files from the Silhouette Online Store) to cut the bee and both sentiments; I had the daisies made and in my stash. The bee pops up on an action spring also from CTMH. 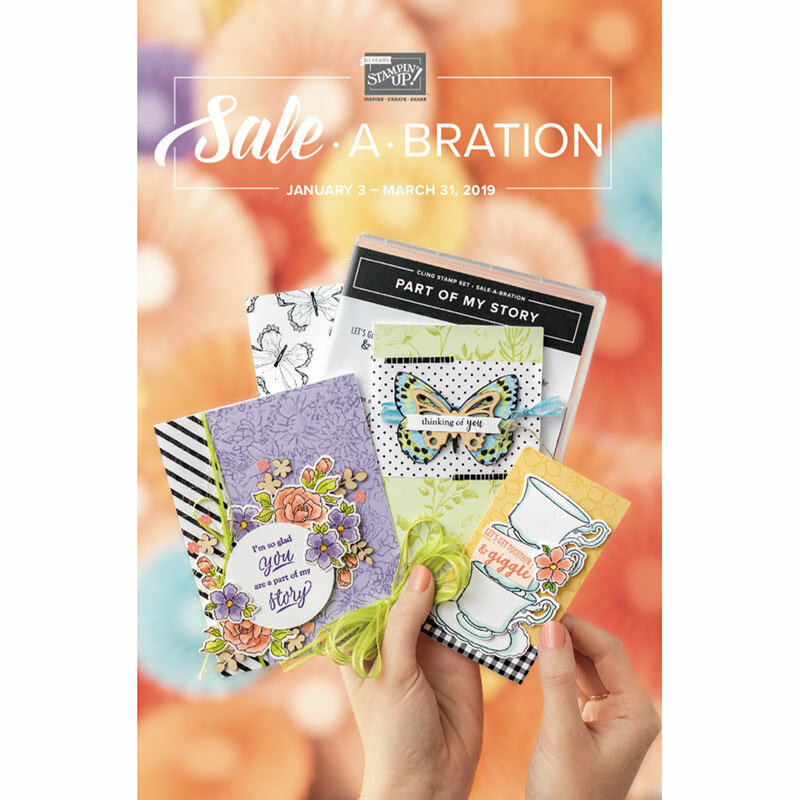 If you too would like your Taste of Summer papers (shown above, in the lower right of the picture) and its complementing stamp set (also pictured), please don't hesitate to contact me at cardmonkey@comcast.net. Pre-orders are being accepted, so contact me today. This is wonderful, your Mom is going to love it, especially the "buzzing" action bee, such a fun card too.